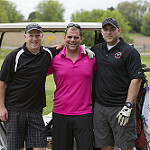 Sign up now for the 7th Annual VFW Post 7591 Golf Outing! On Friday, May 20th 2016 the Day Post will be hosting a golf scramble tournament at Door Creek Golf Course for teams of 4. A pin prize will be awarded on all 9 holes! Don’t miss out. Please fill out the form below to sign up. Cost: $35 per person includes: 9 holes of golf with cart, one drink chip for Post #7591, and a donation to our Post Relief Fund. A pin prize will be awarded on every hole. Lunch is available at Door Creek Golf Course for purchase. Scramble format: If you have a team, complete the information below and submit with payment. If you sign up individually or have less than 4 players, additional team members will be assigned to complete a foursome.